If your customers teach about growing an online business, this PLR package is a must-have and at $9.95 for a complete 4-part ecourse they can brand, monetize and publish…it's a no-brainer for you to promote and for your customers to buy. Contest and promotion runs from 10 AM Eastern on Thursday, October 25 to 11:59 PM Eastern on Tuesday, October 30. Your customers will be able to pick up a 4-week ecourse that will teach their readers how to get started using webinars in their business. They can use the PLR to teach a 4-week course, fill up their autoresponder, turn it into a report, use it for blog posts or even turn it into a paid product. This PLR bundle is only $9.95 during the sale and includes everything they need to get started using webinars to grow their business. The front end package includes a full 4-week ecourse. 4 Worksheets: They get 4 worksheets (.doc) that will help them plan out their webinar based on each of the instructional guides. 4 Detailed Checklists: They get 4 checklists (.doc) that will give them a summary of what steps to take based on each of the instructional guides. 4 Course Delivery Emails: They can add these emails to their autoresponder and deliver the course materials over 4 lessons. We've made it super easy! 1 Lead-Generating Opt-in Page: To help them grow their list with this content, we’ve included the opt-in copy and the WordPress-ready code for them. We even host the images! Webinar Attendance Rate Boosting Hacks: Checklist, Ideas and Worksheet (.docx): – Teaches how to get people to attend the webinar once they are registered along with follow up hacks and ideas on how to get the best attendance. Pro-Webinar Presentation Template (.pptx): Done-for-you PowerPoint template that can be used to create the webinar presentation. Includes 17 images. 20 Webinar Headline Titles (.docx): Fill-in-the-blank Headline Templates making it super simple to start planning. 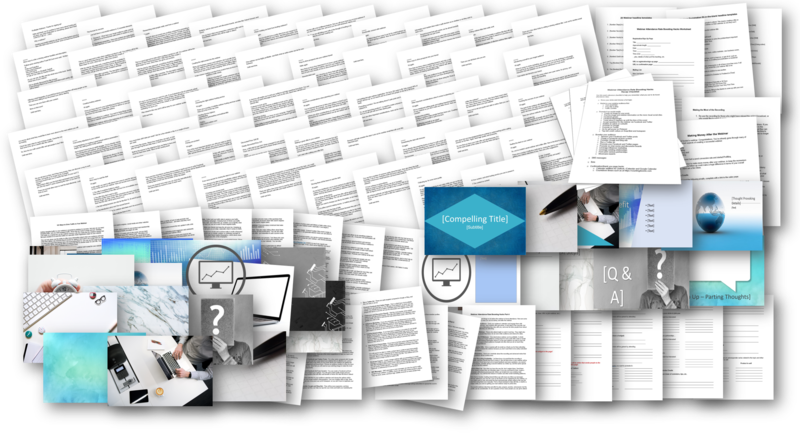 101 Webinar Traffic Ideas (.docx): 101 ideas to help drive traffic to the webinar, opt-in page or website and encourage visitors to sign up. Making Money After the Webinar (.docx): Ideas for what to do after the webinar to make more money and keep the momentum going. 25 Ready-to-Load Autoresponder Email Messages (.docx): This content is perfect for 6-months' worth of emails to add to product promotions, affiliate recommendations and more. Tutorial: Creating a Webinar Funnel Using Google Sites (.docx): Tutorial on how to use Google Sites to create the webinar funnel. Great content to use as a bonus. Tutorial: Creating a Webinar Funnel Using Thrive Architect & WordPress (.docx): Tutorial on how to use Thrive Architect and WordPress to create the webinar funnel. Great content to use as a bonus. Total sales on the front end between 10 AM Eastern on October 25 to 11:59 PM Eastern on October 30 count toward contest totals. There are NO minimum sales requirements. Your affiliate link: https://www.diyplr.com/bundles/aff/go/XXXX/?i=399 – IMPORTANT: Replace the XXXX with your affiliate ID). Not sure what your ID is? Log in here. IMPORTANT! Don’t send emails until 10 AM EST on Thursday, October 25. Your affiliate link will not work before then and the sales page will not be live. Everyone gives out a free report for an opt-in, but why not go a step further? This package includes 4 reports, 4 checklists and 4 worksheets that will show your new subscribers how they can reap the benefits of using webinar in their business, step-by-step…all in a 4-week ecourse. 1 Lead-Generating Opt-in Page: To help you grow your list with this content, they've even included the opt-in copy and the WordPress-ready code for you. P.S. Remember fast action takers get the best price. Grab this bundle quickly and you'll get a complete 4-part ecourse plus bonuses that you can use to grow your list or even create a product from if you prefer. That’s a total no-brainer if you ask me. Yesterday, I told you about Alice's “Complete Guide to Creating Profitable Webinars” ecourse with private label rights. If you grabbed it already, you definitely want to pay attention to this. And if you don't have it yet, get it now https://www.diyplr.com/bundles/aff/go/XXXX/?i=399 so you can put these ideas to use. Just do it quickly because the special offer ends soon. As I mentioned yesterday, the package comes with everything you need to release a 4-part ecourse on using webinars to generate a profit in your business. Well, here are some ideas about what you can do with these. 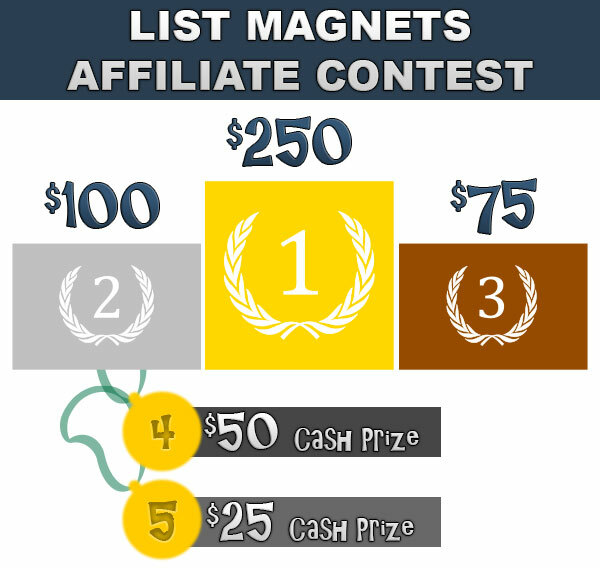 Use it as a high-target lead magnet to grow your list. If you're looking to teach your readers how to become more profitable, you've got everything you need here. This ecourse will take them through the steps they need to use webinars to increase their sales. So if you haven't checked out the “Complete Guide to Creating Profitable Webinars” ecourse bundle offer at ListMagnets, I suggest you get over there right now. They make it super easy to plan out your content. You can grab a full ecourse, complete with cover graphics and opt-in page. 1 Lead-Generating Opt-in Page: To help you grow your list with this content, they’ve included the opt-in copy and the WordPress-ready code for you. Tons of great content for you to share with your audience. Full details are here https://www.diyplr.com/bundles/aff/go/XXXX/?i=399 …hurry, because this sale won't last long and I'd hate for you to pay full price (Launch discount is $9.95). I hope you are having a relaxing Sunday. Here's something to make it even better. No worries because you can actually position yourself as an instant authority on creating profitable webinars with my friend Alice Seba's latest private label rights bundle called: “The Complete Guide to Creating Profitable Webinars”. This bundle has everything you need to create products, webinars, emails, lead magnets, reports and more…already done for you…free for you to use how you choose. 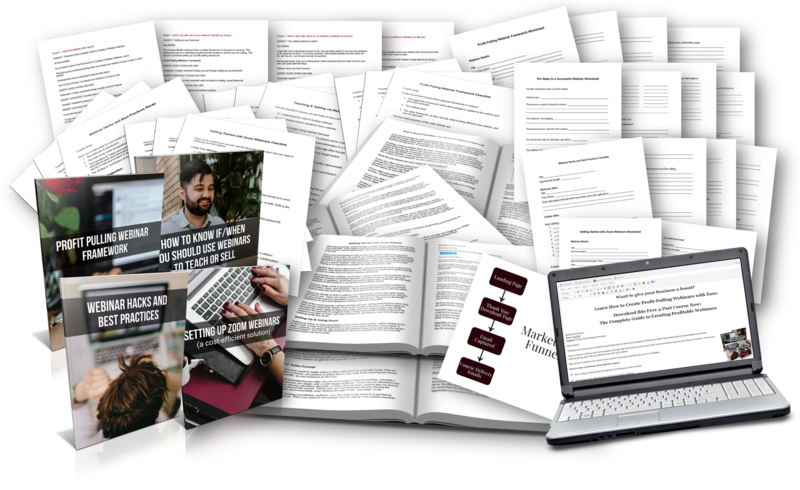 Just wanted to give you a quick note that the offer for the”Complete Guide to Creating Profitable Webinars” ecourse bundle you can brand, monetize and publish expires tonight. If you haven't grabbed it yet, do so now. If you wait, you'll be paying nearly 2x as much. It's less than $10 bucks until tonight. I'm about to call it a night but wanted to make sure you didn't miss the “Complete Guide to Creating Profitable Webinars” ecourse bundle. The offer expires in just a few hours and I'd hate for you to have to pay full price.